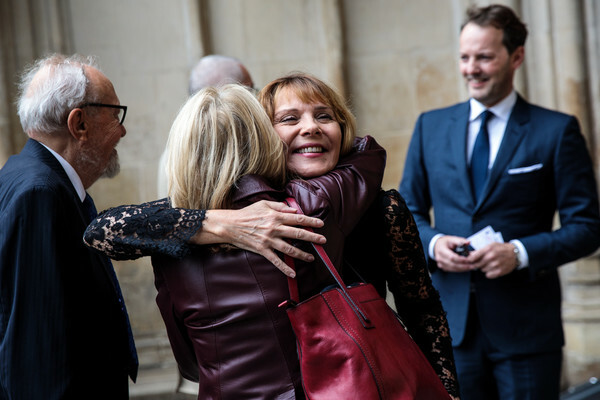 English-Canadian actress Kim Cattrall arrives at Westminster Abbey for a memorial service for theatre great Sir Peter Hall OBE on September 11, 2018 in London, England. Sir Peter Hall was the former director of the National Theatre and founder of the Royal Shakespeare Company. He died on September 11, 2017 aged 86.